Ballet was always my thing. I started when I was 2. (Yes, for real. I was verbal enough, and coordinated enough, that the neighbourhood dance teacher agreed to take me in her 3-year-old class even though THEY DID NOT MAKE BALLET SHOES SMALL ENOUGH FOR ME. Could you die? I could die from the cuteness of that. ), got 4 years under my belt, set it aside (ballet, that is, not my metaphorical belt) for a few years, returned when I was nine, stuck with it until I was 17, when a chronic injury, combined with a big role in the school play, drew me away. I took other kinds of dance because they were “good for me” jazz and modern and character. I tolerated them at best. They seemed fluffy and weird and flashy, sometimes ugly. The teachers for these classes seemed… fluffy. Too smiley, too perky, far too concerned with whether I was having fun. I wasn’t looking for fun. I didn’t want fun. I wanted to be GOOD. I wanted to do it RIGHT. Ballet was (is) precise. There is an exactly right way for every part of your body to be, literally right down to your pinky fingers. It is right, or it is wrong. Ballet is black leotard pink tights pink slippers hair in a bun no wispies. Dig the bobby pins into your scalp if you must. A ratty sweater for warm up. Only for warmup. And your teacher will make you take it off before you leave the barre. Pas de bourrée. Pas de chat. Pas de cheval. Pas de deux. Plié tendu glissé frappé développé penché. Ballet is thumb on top of the barre, never under. 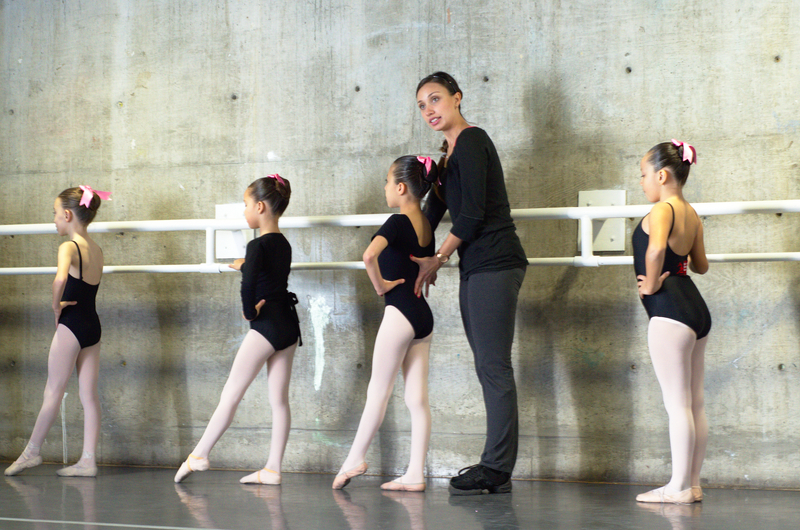 Turn toward the barre, never away. Right side first, then left, always always always. Finish the exercise close your feet, lower your arm, turn your head to the centre. Warm up, barre, stretches, centre, across the floor, réverence, and limp home. Leg higher, shoulder lower, eyes up, hip down, heel front, knee back. Hold hold hold. don’t. breathe. Think about your line from your fingers down your arm across your shoulder to your back through your hip to the leg the foot the toes that must go on forever. Turn out from your hip. Lift from your stomach. Speak from your eyes. Pull up pull up pull up through your ears, NOT through your chest. Do all of this at once. To music. On time. And make it look easy. Yeah. I wanted to be a ballerina.